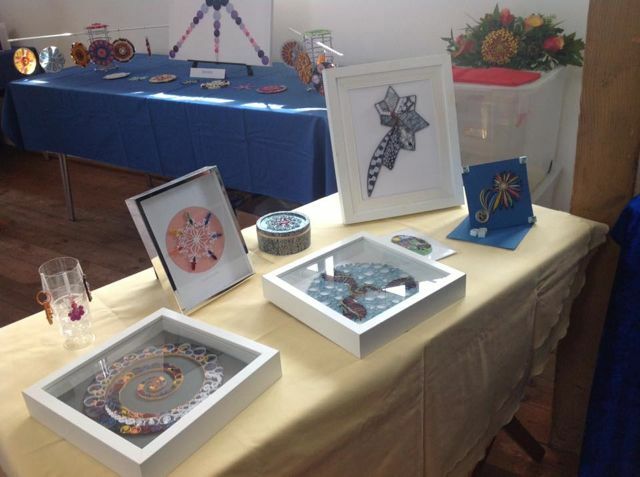 Staging my Fellow’s Retrospective display at the Quilling Guild‘s Celebration of Quilling in Hartley Wintney last weekend made me realise what a lot of quilling I have done in the last 10 years, and just how far I have progressed! It also reminded me that I haven’t posted anything about the various competition pieces I have quilled this year, so I am remedying the situation now. 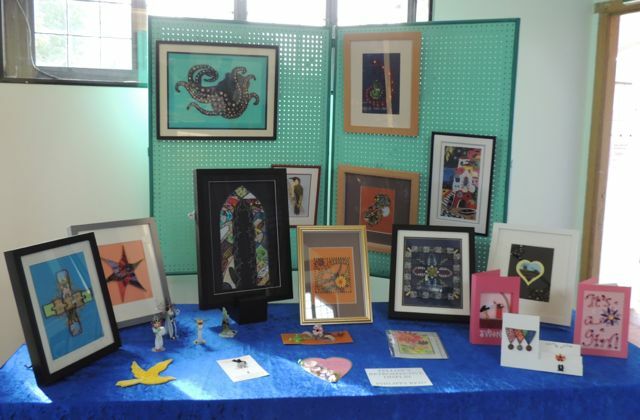 Firstly, here are some photos of my display at the Quilling Guild event, in which I included pieces that I have managed to win awards for over the years, along with examples of the way my work is progressing to encompass mixed media/collage work as well as conventional paper filigree. This was the first big display I have staged since taking part in the Taunton Live Arts Festival and Taunton Flower Show in the summer, and now that all the competition events for me in 2017 are over, I am finally free to share some of the other new pieces I have been working on during the year to date. My activities at Taunton Live have been well documented on my Facebook page here, so I am not going to repeat them all over again. 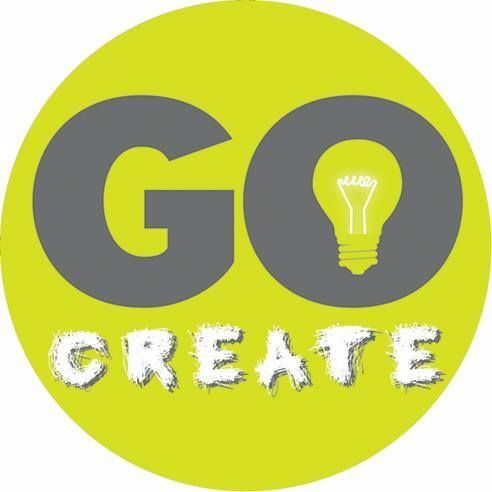 Suffice to say that I had a fantastic time at the festival, made lots of wonderful new friends, and have bookings for several quilling workshops in the town as a result. 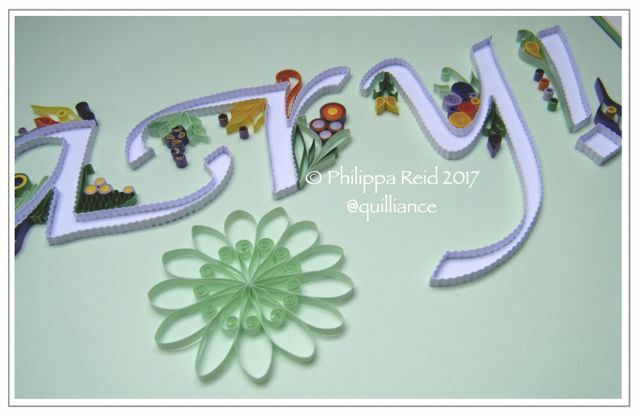 At the Flower Show, I entered one of the crafts competition categories with this quilled typographical piece which was Highly Commended by the judges. 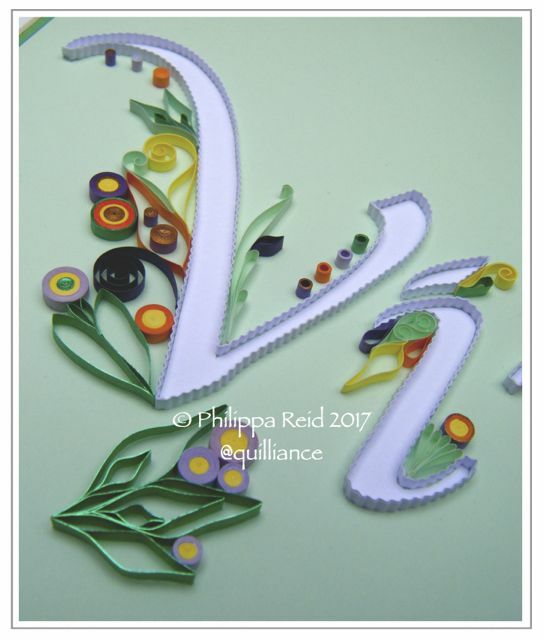 The word “Vivary” is the name of the wonderful Victorian park in which the show is staged, and I tried to reflect its peaceful ambience of fresh green complemented by vibrant floral colours in my quilling. By submitting quilled typography, I suspect that I may have fallen foul of the strict category guidelines which stated that one’s entry should be a “picture” … but no matter, I was very pleased with my commendation and several people I met were full of praise for my piece, even stopping to congratulate me when they saw me taking the picture down at the end of the show! I also won a Second Prize with this card, which I entered into the category which required an entirely hand-crafted creation (no commercial kit components!) to welcome the arrival of twin baby girls. 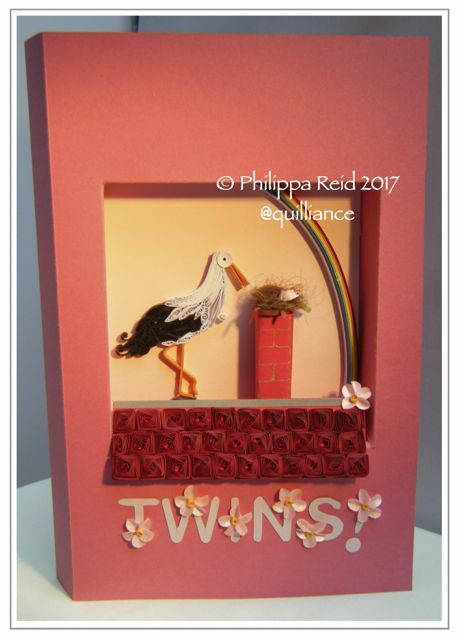 I set the quilling within a recessed box frame, covering the roof section with vortex coil tiles and adding a nest for the babies on the chimney which I fashioned from real hair (my own)! 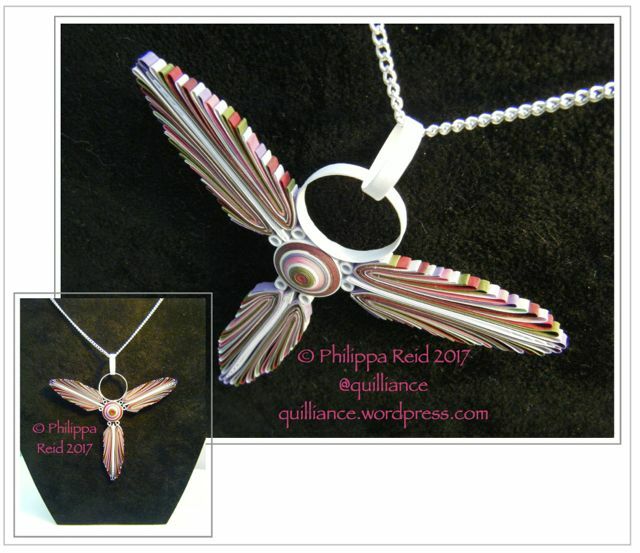 Another piece that I’ve been keeping under wraps is this quilled pendant that I made for the Quilling Guild’s Annual Challenge competition, which I created using a side-looping technique that I developed when trying to quill birds’ feathers. 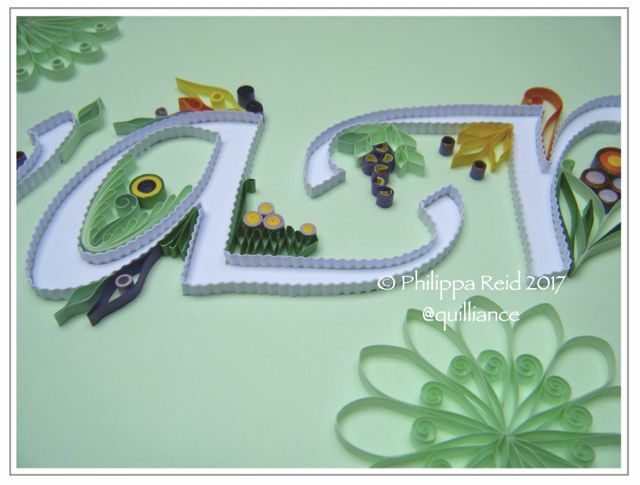 So now I think we’re up to date again with this record of my quilling activities in 2017. 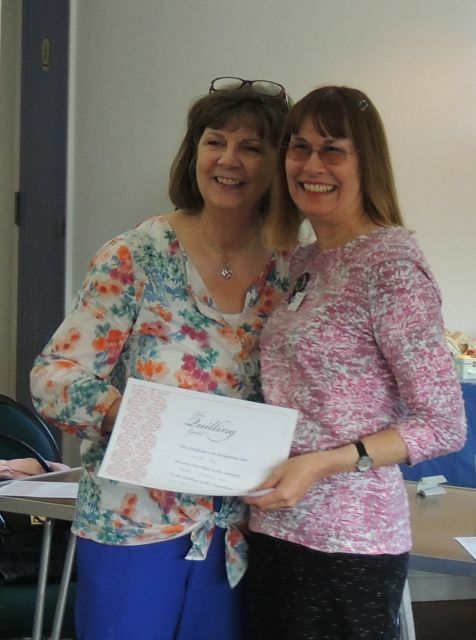 There is still much for me to look forward to with the possibility of forming a local quilling group following the success of the Guild’s recent Celebration of Quilling event in Hampshire, and the prospect of an Artist’s Residency at the Creative Innovation Centre in Taunton next year. Thanks Sheila – just a bit of fun really, but I was pleased with the reflections that I managed to achieve using the lights! I’ve been experimenting with making strips out of foil (one side) and gift wrap (other side) on double-sided tape, which do seem to roll successfully. If you roll with the foil on the inside, and then mount the shapes (using double-sided tape again) on to foil die-cut mats, the reflection is amazing! That sounds a terrific idea, Philippa! Have not tried that yet; but certainly will do very quickly!! 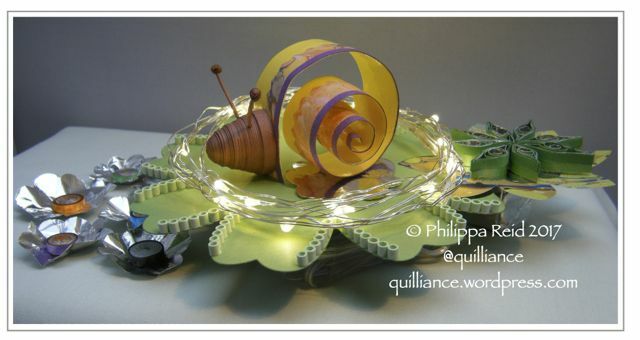 * Want to try digital quilling? Catherine models the #paperbead jewellery I made for her, sourced from magazine advertisement pages in her favourite colours! A new cabinet for my jewellery at @polkadotgallery Taunton, in which the art of paper filigree combines with the lustre of precious metals. Seeing is believing! Each piece is unique, strong and water resistant, making the perfect Mothers Day or First Anniversary gift. The second - and final - proofs of my new #quilling book have just arrived for checking, and now the countdown begins to publication in July! 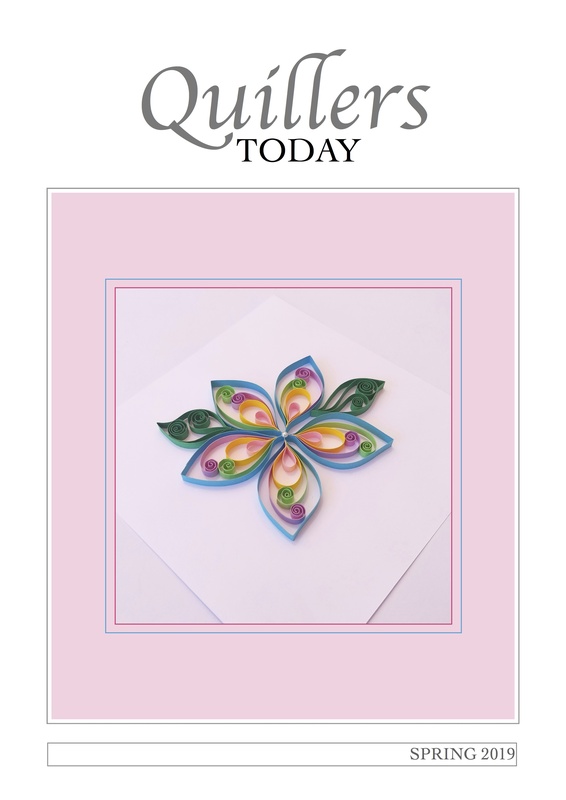 The Spring 2019 edition of Quillers Today magazine features quilling by Pily Nunez. I welcome your comments and read every one, but don't always have time to answer each one individually. Wherever possible, I will reply to your comment directly below it under the relevant post on the blog, so please check back there from time to time. 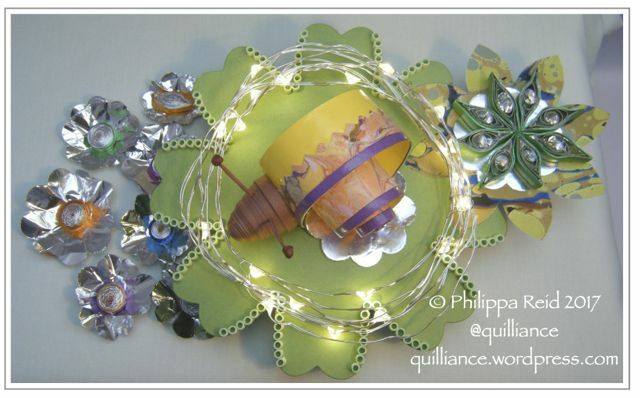 Unfortunately, I can no longer reply to you personally by email, as I am just too busy editing the content of Quillers Today magazine for The Quilling Guild! Comment moderation is in place to avoid inappropriate content being posted to the site, so there may be a short delay before your comment appears on the blog. Thank you for your understanding. My book – the final countdown!